Do you have a cooling system in your home? Many homeowners in the Puget Sound area have had these installed over the last few years. Even though it doesn’t get hot for very long in the summer, you can have some miserably hot and humid weeks without a cooling system. If yours isn’t working or isn’t working the way you want it to, give us a call. We can also help you install the cooling system that is right for you, if you haven’t gotten one already. We offer a complete line of cooling repair services. No matter what goes wrong with your air conditioner or ventilation system, we will help you get it fixed quickly, so you can get back to being comfortable in your own home. Whether your system has stopped functioning entirely or just isn’t working the way you need it to anymore, we’ll help set things to rights. 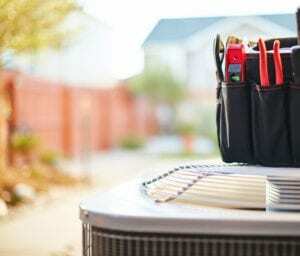 All of our HVAC technicians are highly trained experts, so you can rely on us to find the problem and solve it right, the very first time we come out. If we need to order parts, we’ll let you know and we’ll always tell you when you can expect to hear from us again. We’ll never leave you hanging without cool air for your home. We work hard to stay in touch with you throughout the process, so you always know exactly what is going on. Is it time for a new air conditioner or ventilation system in your house? Maybe you’ve never had one and you’re ready to stay cool all summer long. Give us a call at Dear Services and we’ll send someone out to look at your house. We’ll let you know what we see and what it will take to get you a new air conditioner or a whole new system. No matter how complex your installation is, we’ll get it done so your home is a comfortable place for you and your family every summer. Maintaining your cooling system can help you save money on energy and it can prolong the life of your system. You’ll save money because your system will work more efficiently. Efficient systems aren’t working harder than they have to, so your system should last longer. We’ll simply come in and make sure everything is working according to your manufacturer’s specifications. If we find anything wrong, we’ll let you know so you can get it fixed before it becomes a major problem. No matter what needs to be done to make your cooling system work well, we’ll handle it for you at Dear Service. Make your appointment today and stop worrying about getting too hot this summer.